Hi, everyone! 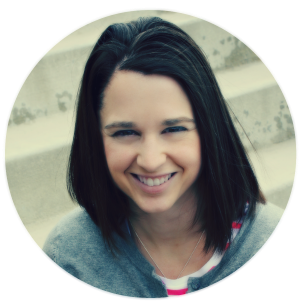 I'm Bre and I blog at Average But Inspired, where I share my craft, cooking, family and home successes and failures. I cannot tell you how excited I am to be guest posting today on Ginger Snap Crafts! Ginger's blog is everything I aspire for mine to be, so it is truly an honor to be sharing here with YOU, her loyal readers. Today I'm going to show you how to make your very own handmade fingerprint heart jewelry! Once you have all of your materials together, you're ready to get started. Are you excited yet? Here we go! First, open your clay package and remove a small chunk. Work the clay with your hands to warm it up a bit. 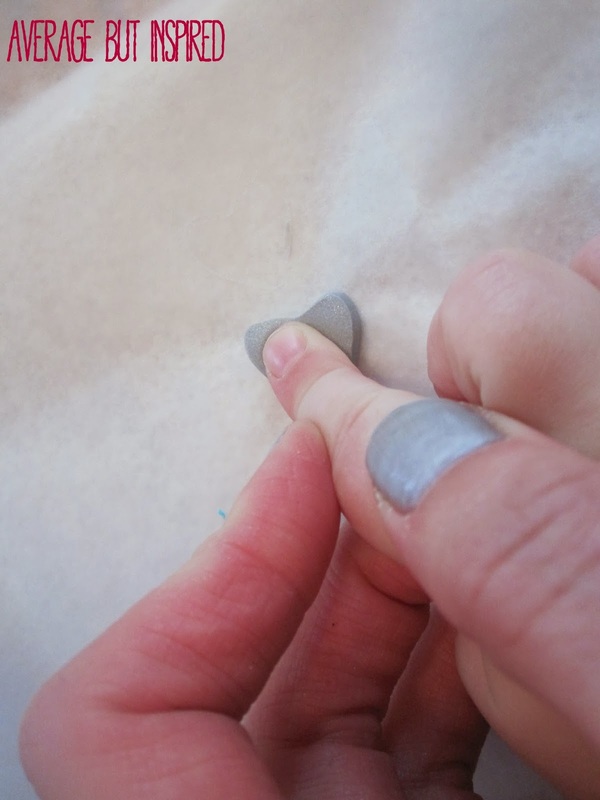 Then flatten it out and use your heart-shaped cookie cutter to punch out your clay heart. Next, have the person whose fingerprint you're using press firmly down on the heart-shaped clay with his or her index finger. Make sure to press down on both halves of the heart. Once you've fingerprinted both halves of the heart, your clay will look something like this. You won't be able to see the actual fingerprints very well, but don't worry - we will fix that later. Next, use your needle to poke a hole through the top of the heart so that you have a place to insert your jump ring later on. If you want to, you could also use your needle to carve the initial of the person whose fingerprint the heart bears. Now you're ready to bake your fingerprint heart! Place your heart on an index card or piece of cardstock, and then on a cookie sheet, and follow the instructions on the clay's package for baking. The Sculpey clay I used baked for 15 minutes at 275 degrees. Once your heart is finished baking, remove it from the oven and let cool. Then, rub your finger over the permanent ink stamp pad or acrylic paint, and rub some of that ink or paint lightly over your cool heart. This will allow the fingerprints on the heart to become more visible and prominent. Put your heart back in the oven and bake for another ten minutes. Next, insert your jump ring through the hole in the top of the heart. Finally, add your heart charm to a chain or cord of your choice! I put mine on simple leather and suede cording, added two beads for some additional interest, and used a simple hook and eye closure to finish it off. All together, this project cost less than $10 to make! 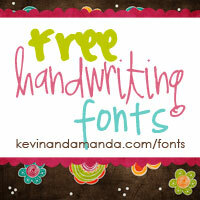 Easy, inexpensive and meaningful - you can't get much better than that, if you ask me! I hope you enjoyed this project! If you like what you saw, please stop over to Average But Inspired and say hello! You can also find me on Pinterest, Twitter, Facebook and Bloglovin'. Thanks for reading, and thanks again for having me, Ginger! This project & post were created for Ginger Snap Crafts by Average But Inspired.